© 1991 GIA Publications, Inc.
Music: The Music is in the Public Domain; you do not need permission to project or reprint the Music. This is a fine “send-off” text. God’s people compel each other to do two things: first, to go into the world to preach and baptize in obedience to Christ’s Great commission in Matthew 28:19 (st. 1), and second, to serve as Christ’s representatives and servants in the world (st. 2-3). The final stanza reveals a change of voice: now we hear the direct words of Christ’s Great Commission, when he promises to be with his church until the end of time (Matt. 28:20b). According to the confessions, Christian worshipers are called to continue in service. Heidelberg Catechism, Lord’s Day 12, Question and Answer 32 instructs us to think of ourselves as “a member of Christ…[who] share in his anointing.” So we profess “I am anointed to confess his name, to present myself to him as a living sacrifice of thanks, to strive with a free conscience against sin and the devil in this life, and afterward to reign with Christ over all creation for eternity.” We serve him with good works, “…so that with our whole lives we may show that we are thankful to God for his benefits, so that he may be praised through us, so that we may be assured of our faith by its fruits, and so that by our godly living our neighbors may be won over to Christ” (Heidelberg Catechism, Lord’s Day 32, Question and Answer 86). And so we are moved to “…embrace God’s mission in [our] neighborhoods and in the world...” (Our World Belongs to God, paragraph 41). Christians, therefore, leave worship believing that “to follow this Lord is to serve him wherever we are without fitting in, light in darkness, salt in a spoiling world” (Our World Belongs to God paragraph 43). And surely I will be with you always, to the very end of the age.” Amen. Gracious God, lover of the world to whom you sent your Son, we confess to you that we have not gone out to the world you love. We have sought comfort more than compassion. We have loved entertainment more than outreach. Instead of going out to seek justice we have hunkered down and buttoned up. Forgive, correct, and heal us, we pray, so that we may become more profitable servants in Jesus’ name. Amen. ENGELBERG is an attractive melody with many ascending motives, designed for energetic singing with no pauses between stanzas. The congregation may sing the initial three stanzas forcefully in unison, or have the choir sing the alternate setting of stanza 3 (perhaps also with trumpets), beginning more softly and growing in the unison section. Then signal the change of voice in stanza 4 by adding handbells for an especially rousing conclusion. In ordination and commissioning services. As a "charge" hymn for those who've just professed their faith or their renewed faith. Charles V. Stanford composed ENGELBERG as a setting for William W. How's "For All the Saints." 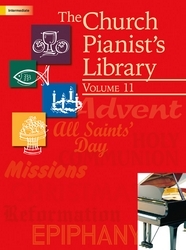 The tune was published in the 1904 edition of Hymns Ancient and Modern with no less than six different musical settings. It is clearly a fine congregational hymn but also a stunning choral anthem when used with some of the additional settings that Stanford supplied. 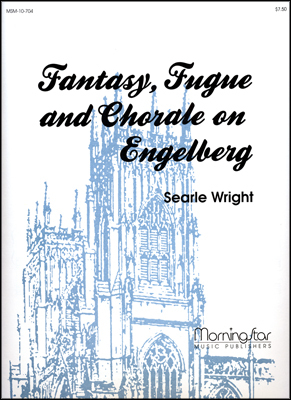 ENGELBERG is an attractive, energetic melody with many ascending motives, designed for unison singing with no pauses between stanzas. Sylvia Dunstan (b. 1955; d. July 25, 1993) attributes her love of song to her grandparents, who kept song alive in the family and entrusted Sylvia's formal musical education to one of the nuns at the local convent. Sylvia began writing songs in the early seventies and soon after met Sister Miriam Theresa Winter, who encouraged her to write songs based on Scripture. Sylvia eventually realized that her talents did not lay with the music and concentrated instead on the lyrics. She was further shepherded and encouraged by Alan Barthel. Her bachelor degree was earned from York University, and she received graduate degrees in theology and divinity from Emmanuel College, Toronto. In 1980, she was ordained by the Hamilton Conference of the United Church of Canada. During her career she served as a minister, a prison chaplain, and editor of a Canadian worship resource journal, Gathering. In the summer of 1990, she was invited to lead the annual conference of the Hymn Society in the U.S. and Canada in a session exploring her hymnody. That exposure led to the publication of her texts In Search of Hope and Grace. A smaller collection Where the Promise Shines was published after her death in 1994. Many of her hymn texts have been set by contemporary composers. Sylvia Dunstan died on July 25, 1993, almost four months after being diagnosed with liver cancer. She left behind a ministry that combined a compassionate concern for the needy and distraught with a consuming love of liturgy. A distinguished composer and teacher of composition, Charles V. Stanford (b. Dublin, Ireland, 1852; d. Marylebone, London, England, 1924) began his musical career at an early age. Before the age of ten he had composed several pieces and given piano recitals of works by Handel and Bach. He studied at Queen's College, Cambridge, England, as well as in Leipzig and Berlin. At the age of twenty-one he was asked to become organist at the famous Trinity College, Cambridge. At that time he also began a prestigious career in conducting, which included appearances with the London Bach Choir from 1885 to 1902, and he traveled widely in England, Europe, and the United States. His teaching career was equally impressive. Stanford taught composition at both the Royal College of Music and Cambridge University; among his students were Ralph Vaughan Williams and Gustav Holst. He was knighted in 1902. Stanford wrote over two hundred compositions in nearly all musical genres, including symphonies, operas, chamber music, and songs. Most notable in his church music are several complete services, anthems, and unison hymn tunes.